Michael Franti talks his new album and looks back at his career. Singer Michael Franti’s new video “Good to Be Alive Today,” from his ninth album Soulrocker, features people inside a picture frame while he harmonizes on hope for the world. It’s an apt metaphor — that everyone has a frame of reference and a destiny meant for hope. Fox’s Adam Housley tells us about why — for Franti, his touring band The Spearheads and for the message of positive music he creates — it really is good to be alive today. 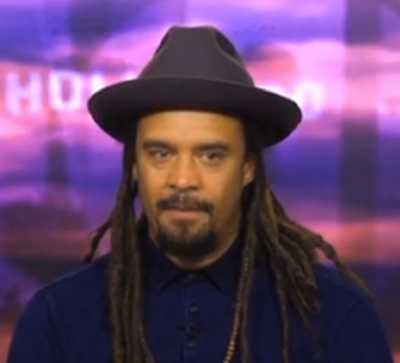 Singer, songwriter, rapper, musician, poet and activist Michael Franti is out with his ninth studio album, called Soulrocker. It’s a collaboration with his band The Spearheads, blending different styles of music with an uplifting, powerful message. “This new album has gotten an incredible responsive because it, like a song, for example, ‘Good to Be Alive Today,’ really touches on stuff happening right now and the emotions people are feeling…People want to feel a sense that we are [going to] make it through to the other side, and I think that’s the power of music — that it helps us feel the sense of optimism.” The 50-year-old northern California native has been performing since 1987, having hit songs and a loyal following. He says the opportunity to share his music with others is a gift. Inspiration for songs can happen anywhere — including when he wrote ‘Say Hey I love You’ in Woody Harrelson’s bathroom. And with their present world tour taking the band into next year, Franti savors every moment of his success.